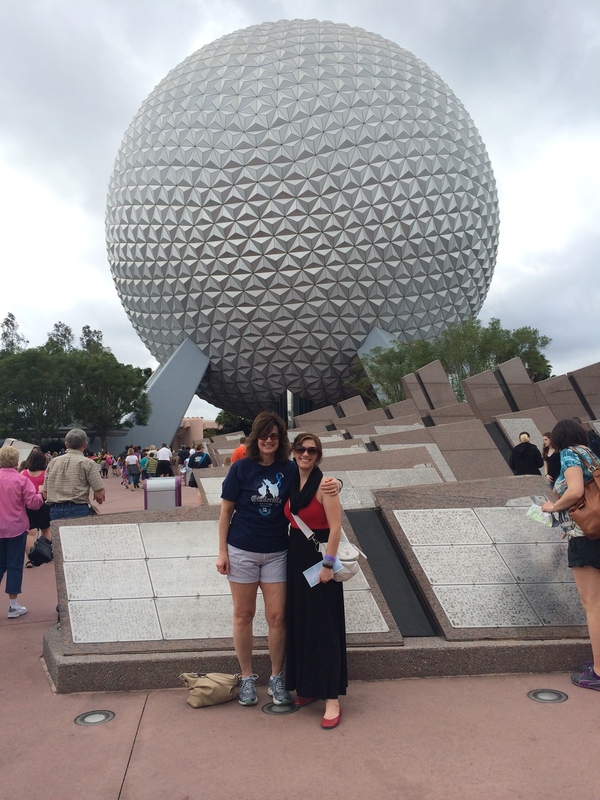 After the 5K, my friends and I went back to our adjacent hotels & cleaned up for a fun-filled day at Epcot. They had one-day, one-park passes, so Friday we settled on Epcot, and I'd meet them at Magic Kingdom on Saturday after I was done with the 10K (and a shower, so I smelled decent). We looked around and spotted some areas that were getting ready for the Flower and Garden Festival; and made our way to Italy so we could have lunch at Via Napoli. I chose a pasta dish that was recommended by our server; though I forget what it is called. Oops. It was delicious, though. 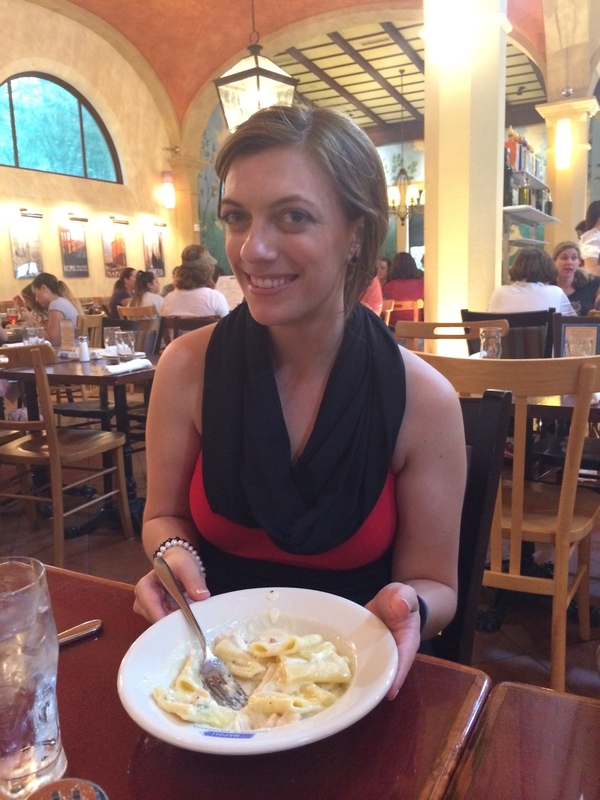 I have eaten here several times, and at some point will do a review - I promise! My friends loved meeting characters - which is awesome, because that's one of my favorite things. The meet & greets are always a goal of mine to have EVERY single character I can possibly have. So, we met up with Snow White in Germany. 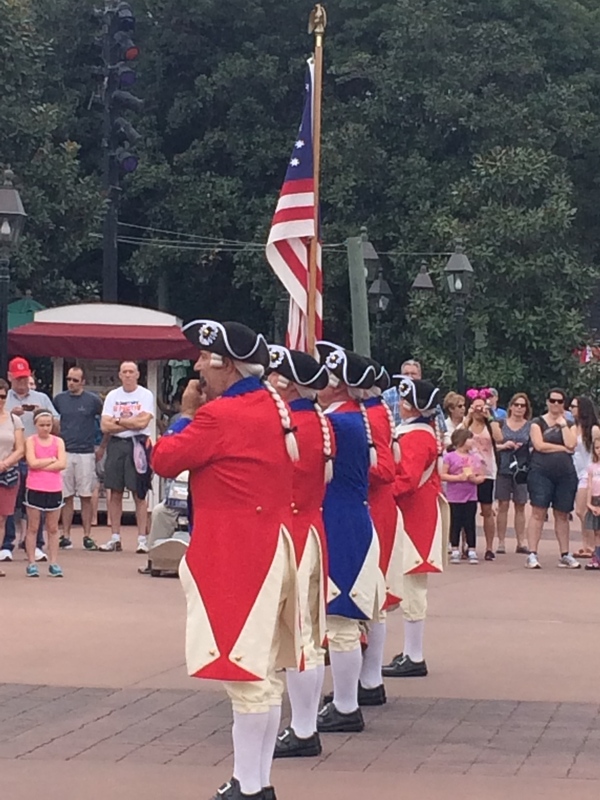 Going through America, we saw a patriotic routine being performed. 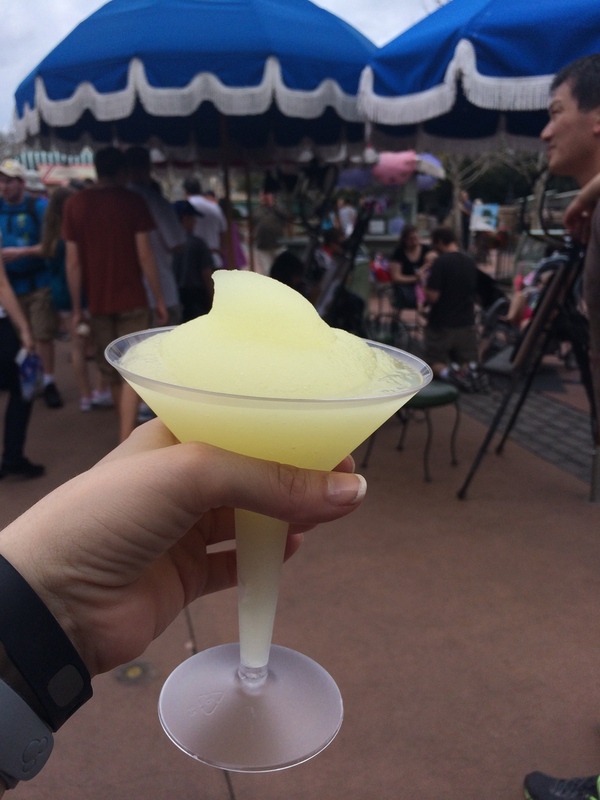 One of my favorite things in France is the Grey Goose Lemon Slushie. This drink is amazing and totally worth the $10 price tag. I mean, seriously, if you haven't tried it, you're really missing out. 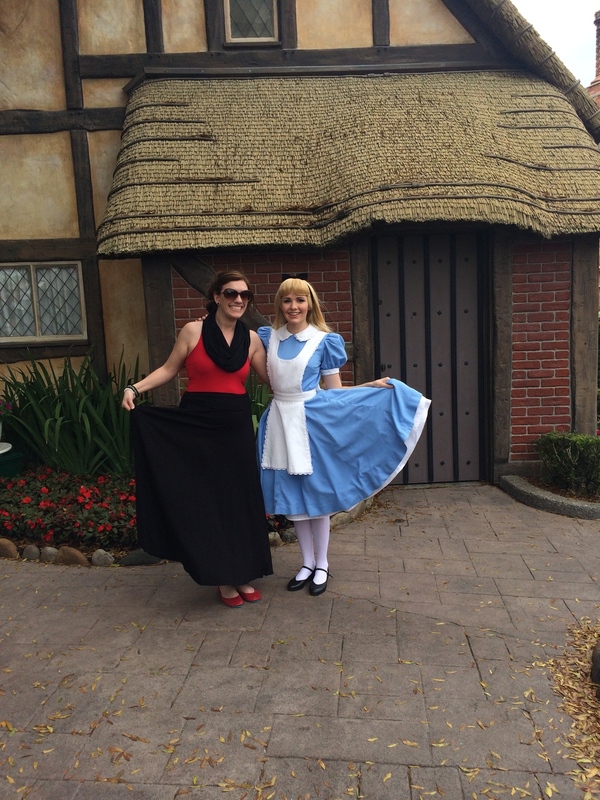 We greeted Alice outside the little house in the United Kingdom. 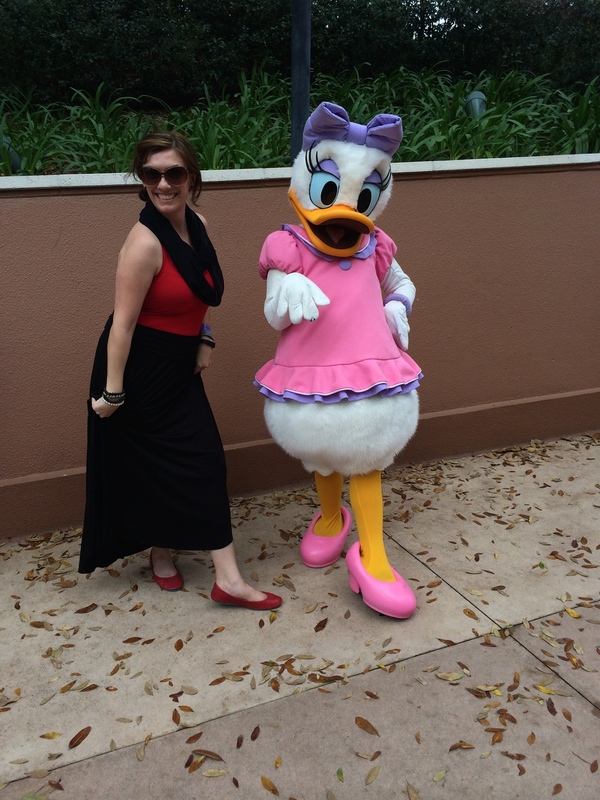 And Daisy Duck made a surprise appearance behind the "The Gates" that are normally closed. Epcot opens these up every so often. They're located between UK and Canada, but are usually closed. When open, characters meet for short periods of time, and it's always random characters. 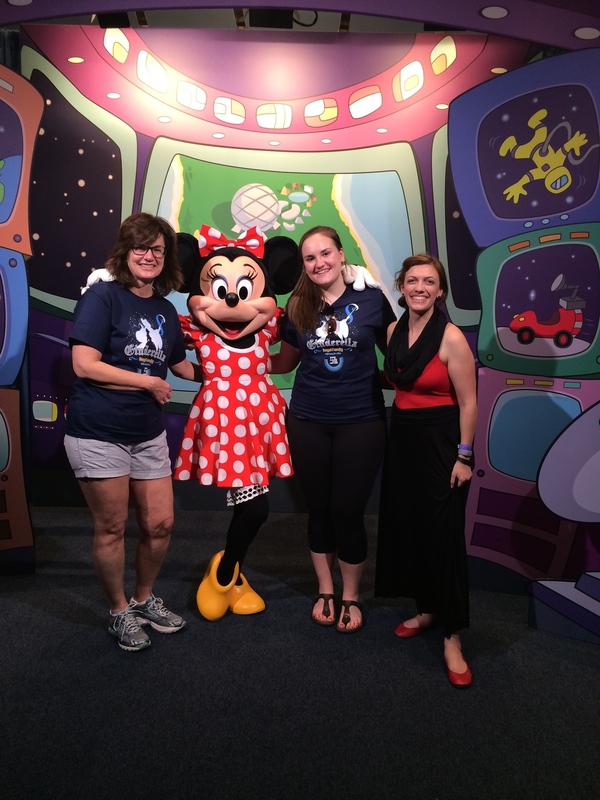 We made our way to the Character greeting spot and had some girl time with Minnie Mouse. Then, we made our way to Turtle Talk with Crush, and The Living Seas with Nemo & Friends. This ride isn't very crowded anymore, but I always enjoy it and seeing the real fish in the aquarium swimming around with Nemo and his gang. 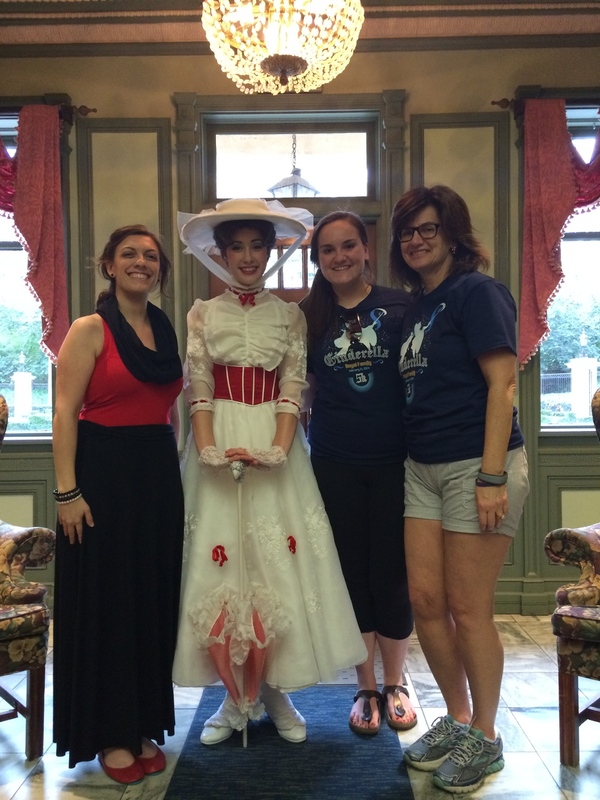 One of the last things we did in Epcot was meet Mary Poppins. She was polite, as always. It was raining outside, so they had moved her indoors. Just a light rain, though, and it was short, too. It wasn't raining by the time we met her.